I hesitated a lot in writing this. It leaves the door open to be directly or indirectly judged and devalued. 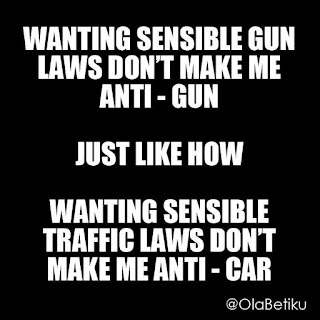 Some might view it as sensationalizing the tragedy for my own gain or trying to garner attention away from it. What follows is me sharing what is extremely hard to share because there has been no space for these conversations in our culture. I make no claims to be or to know Adam Lanza; after all, in the end I didn't do what he did. But in my adolescence, the impulse was palpable though the opportunity wasn't. As early as ten years old, I experienced suicidal fantasies; that was also the year of my first attempt. I tried to electrocute myself (in rather pathetic conditions in hindsight). I would try two more times in the next six years; once with a knife and once with pills. I mired in a depressive suicidal slump for seven years of my life during which nary a day would pass where I didn't think about death; mine and at times, others. So today marks the one year anniversary from when I started in my full time position as Coordinator of Instructional Design at North Shore Community College. To say the very least, it's been an absolutely wonderful year. As I told a colleague this week, it's a year later and I'm still excited every day to go to work. It's rewarding as much as it is (mentally) exerting. If Teaching Online Is Easy--Are We Doing It Wrong? I have heard many people (including myself) claim that teaching online is easier. When I inquire further, the person often highlights the fact that he or she can do it in their pajamas and even when he or she is sick. However, I also hear from people as they talk about how much less work they have to do and this worries me about the nature of online education and the value of it. A few weeks ago, I had an opportunity to interview Michael Goodwin, author of Economix. In this follow up interview, we get to hear from the artist of Economix, Dan E. Burr. Lance: How did you get into comics and what are some of your favorite past projects? Dan: I was exposed to both comic strips and comic books from a very early age. As a small child I lived with an uncle who was older than me (but still a kid) and I looked at all the comics he bought and brought into the house. He also liked to draw (as did many of the members of my family) so I was very naturally following the example I saw. I'd have to say I've enjoyed (almost) all the past projects I've been involved in. Some of those include: Kings in Disguise (graphic novel), a story for Graphic Classics: Ambrose Bierce, stories for Grateful Dead Comix #3, 4, 7, & Vol 2, #2, and stories for DC's The Big Book of Series, including Freaks, Thugs, Losers; Martyrs, Bad; Weird Wild West; and The 70's. 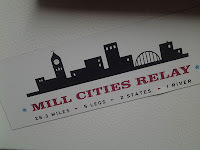 Yesterday, I participated in my first relay race; The Mill Cities Relay, which pulls together racing clubs from all over Massachusetts, New Hampshire and elsewhere for a 28.9 mile race in 5 legs. I actually had a great time and scored a personal best in terms of my distance and time. Several months back, I had the pleasure of reading David Weinberger's book, Too Big to Know: Rethinking Knowledge Now That the Facts Aren't the Facts, Experts Are Everywhere, and the Smartest Person in the Room Is the Room. (You can also find it in the Noblenet Library System to borrow, here). Rather than go on and on about the book, which I easily could, I lucked into the chance to interview him for this blog. Following up on his book, I got the opportunity to hear David speak and even the opportunity to interview him. For more details about David, you can check out his brief bio on the Berman Center for Internet and Society at Harvard University. For the full interview, click through to the NSCC LETS Blog.